Traditionally testimonials are used as major business conversion tools. It is evident that client testimonials speak louder than any sales brochure. Online businesses are accessed remotely, and customer testimonials play even more important role in establishing website's trustworthiness. That is the reason why 80% of the top converting websites show testimonials before call for action. Few samples of top converting websites using testimonials. Why do testimonials don't work well in many cases. How can we make best use of testimonials on our website. Look at what internet giant Google is doing with home page of its advertising service that earns 92% of its revenue. 25% of the view port is reserved for displaying customer testimonial. Yahoo small business home page call for action view port reserves 25% of the space for customer testimonials. Here is another sample of conversion rate expert website dedicating 50% of its view port for text and graphical testimonials. Online Trust seal provider site giving 40% of the view port for testimonials. All the top converting websites understand one thing in common, testimonials sell. Why Some Testimonials Don't Work? Good testimonials sell everywhere and all the time, only reason most testimonials don't sell is people don't trust their validity. When identity of the testimonial giver is not verifiable, it is natural to suspect the authenticity of it. In online world, reputation is the new currency. With great power comes greater risk misusing it. Where there is counterfeit money, real money is suspected too. Internet is full of fake or counterfeit testimonials. If testimonials you display are not verifiable, default assumption of people is to ignore it or suspect it. Testimonials which look like following are by default registered as counterfeit testimonials in your website visitors mind. Your service is best of all, excellent. This product is magic wand! wow! This solved all problems in my life! Thanks! Even showing faces and videos don't work if givers identity is not verifiable. Showing face and video approach is diluted by businesses using counterfeit photo and video testimonials. Producing counterfeit testimonials has become big business by itself, let me show you some samples. Freelancer sites are full of people who make counterfeit testimonials. 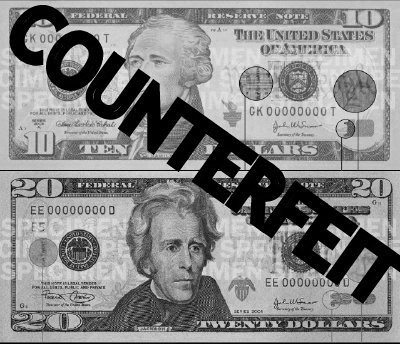 There are many online services to produce counterfeit testimonials. If genuine businesses like ours and yours have to take complete benefit of power of testimonials online, we need to prove what we show are not counterfeit testimonials. If we don't prove that, people will ignore it or suspect it. That will not help us in gaining our website visitors confidence. How To Harness The Power Of Website Testimonials? Getting testimonials from our customer's online social profile will let your visitors verify the origin in real time. Ideal online testimonial should have the following attributes. Name and photo of the testimonial giver should be displayed along with the testimonials. Testimonial should be linked to givers online public profile. Testimonials should be maintained by trusted third party platform. Third party platform should have a system to verify if testimonial is given by mentioned person. For more on it, please read "ideal website testimonial design". Grow your business with the power of testimonials, live life being reputed. What has been your experience with customer testimonials? Feel free to share your thoughts in comments. Get the benefits of Verifiable Testimonials. Signup for Wiwitness. Write your thoughts in the comment section.